Srila Prabhupada appeared on September 1, 1896, the next day to janmastami, in a little house in Tollygunge suburb of Kolkata. In accordance with Bengali tradtion, his mother had gone to the home of her parents for the delivery, and so it was that on the bank of the adi Ganga, a few miles from his father’s home, in a small two- room, mud-walled house with a tiled roof, underneath a jackfruit tree, Abhay Charan was born. This 200 year old tree is still existing. Also nearby is a 500 year old temple of Radha Madan Mohan which was the first temple visited by Srila Prabhupada. This place is Thakurbari,Radha-Govindaji,is my life. That is the beginning of my, this spiritual life. And after so many years,still Radha-Govindaji has dragged me. So it is His kindness. So the beginning was the same thing-worship of Radha Krsna Deity and introduction of Rath yatra. That is I am doing in a bigger scale and a wider scale all over the world. I can remember standing at the doorway of Radha-Govinda temple saying prayers to Radha-Govinda murti. I would watch for hours together. The Deity was so beautiful with His slanted eyes. -Srila Prabhupada Talk at Radha-Govinda Mandir March 24,1976,Calcutta. Bagh Bazar Gaudiya Math was the first marble temple of Bengal. It was established by Srila Bhakti Siddhanta Saraswati in the busy market area of Calcutta so that many people can come to visit it. 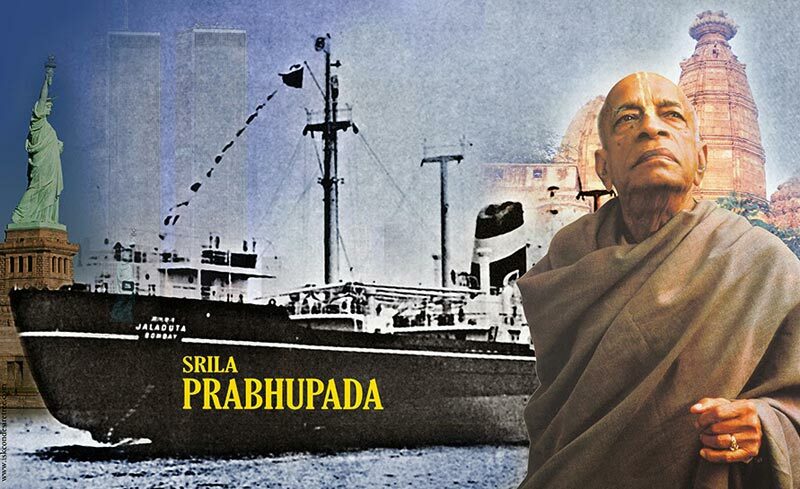 Srila Prabhupada used to regularly visit here to take association of his spiritual master. Srila Bhakti Siddhanta Saraswati Bhajan kutir and His room from where he departed to spiritual world is here. It also houses the first spiritual printing press which Bhakti Siddhanta Saraswati had established to print spiritual literature. Radha Vinoda are the presiding deities here. This was my school,here,this building. This was my school. And college was Scottish Churches. In this ground we used to play football.Yes Srila Prabhupada near his school Talk at Radha-Govinda Mandir,March 24,1976,Calcutta In 1904,when he was eight years old,Abhay entered the nearby Mutty Lall Seal Free School,on the corner of Harrison and Central roads.Mutty Lall was a boy’s school established in 1842 by a wealthy suvarea-vaeik Vaineava(devotee of Kanea). The building was stone,two stories, and surrounded by a stone wall. 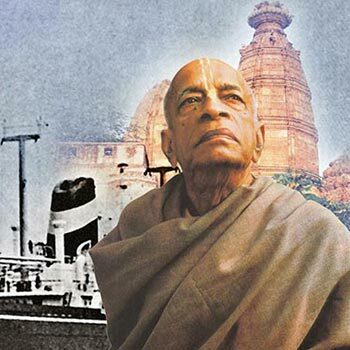 Srila Prabhupada Lilamrta, VOL 1,Chap 1.